A market prognosticator of the Video game market Michael Pachter of Wedbush Morgan sees a 360 price drop and ps3 price drop this 2009 to boost sales in wake of the economic crisis. Note that these are still just speculations, but if you look at how the market is going, you can expect the price drop to hit on or before E3 of this year. Decided on your unit yet? im also trying photoblogging. noone’s buying stuff now, they had to drop it. don’t get ps3 yet, no new good games. if you want good games, go pc. i don’t know if they’re going to release more games on the ps3 especially with the economic downturn. Guess I’ll be getting a 360. Any recommendations (aside from getting a Jasper since that’s a dead give away) on what to get with it (like Live subscription, etc)? 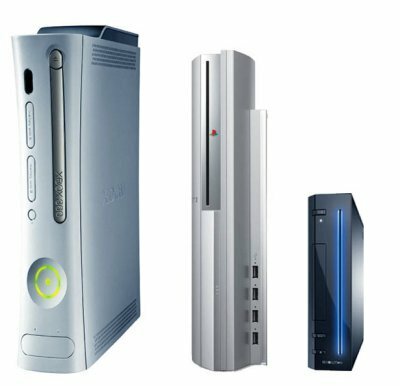 I’d go for the 360, it has a better range of games, the interface(menu) a pleasure to look at and online gaming is way ahead of the ps3. Plus you can play some stuff online with me. i don’t know much about xbox 360. about their Live, I’m not sure, but if Netflix works in the Philippines, that would be pretty sweet to have live + netflix. but if you like zombie killin fun, left 4 dead, definitely play with friends. if you later decide to get a ps3, i have some games that i’m done with or probably never play again. i can lend them to you. hmm.. I’m looking for online play as well but I’m kinda biased against on going FPS with a controller (too much mouse lovin’ apparently), any recommendations on what games w/ multiplay that’s not FPS? Yeah FPS with a controller can be hard at first. You’re always going to be more accurate with a mouse, but it isn’t so bad once you adjust. It’s nice to be able to play some death match whilst sitting on a comfy couch. -Gears of War 1&2 (I know this is sort of FPS (well its a 3d person shooter), but it is one of the best co-op experiences I’ve ever had). -Grand Theft Auto IV – Another 3D person shooter, some very fun play modes such as cops and robbers. -Soul Caliber 4 – You did a post about this not too long ago? -Street Fighter 2 HD Remix – This is street fighter 2 hyper edition reskinned for HD. It looks great and has some new play modes. -Puzzle Quest – A down-loadable game. It’s a bejeweled like game thats also a RPG. Very Addictive! The PS3 has been $399 at our Wal-Mart for months and months. I have been watching the price closely debating on getting that or a Blu-Ray player. and a few decent PC ports. if you don’t mind all your games having this consistent humming noise in the background from the system it self and the fear of getting the infamous RRoD, definitely worth getting. Earth Defense Force,,, only reason i miss my 360 -_- RROD!!! !